Trade shows are all about competition—understandably between the different companies represented there, but also between you and your previous exhibits. Each trade show should be better than the last, and we have some sure-fire tips to get you on the track to success. You’ve undoubtedly heard this before, but it’s all about effort—you truly get out what you put in, and that especially applies to something as socially driven as a trade show exhibit. If you don’t go out and get things, they’re less likely to just come to you. So focus on these tips and watch your success grow and grow! You’ve heard it a thousand times. First impressions get locked down forever, they’re hard to erase, and so on. What you may not realize is just how true those statements are. Our first opinion of someone new forms in only one tenth of a second, and our first opinion of a company forms even faster than that. For example, it only takes a fifth of a second to form an opinion of a website, and 94% of that opinion is directly related to design. To put it simply: make sure what your attendees see first is impactful in the most positive way. Every company has a different budget and different priorities for their booths, but design is never something you should skimp on. People are typically followers. If they’re looking for a great new restaurant to try, they aren’t going to go to the one whose parking lot is empty at noon. They’re going to try the one that’s packed every time they drive by. People are more likely to stop by your booth and stay there if you have something for them to interact with. Have employees engage with visitors, but make sure you have plenty of employees to engage with the onlookers too. Have your booth visitors work for you, even after they leave! Giving away stickers or lanyards with your logo on it will ensure that your name is seen even after your attendees have moved on. Maybe take it a step further and have a drawing to win something! Make it fun and exciting so that people will want to participate. This goes hand-in-hand with the last tip, too—the more people who are wearing your logo, the more people will want to wear it too. Your work doesn’t begin when the trade show starts—it begins much earlier than that. Research has shown that people who start early end up with a more successful exhibit, because they’ve already taken care of the small stuff beforehand. Once those little things are in place, you can expend your energy on what matters in the moment: the big picture. Small details like reserving your space, designing and building your booth, working out shipment and installation, etc. can add up to a huge chunk of your time and energy. Get it all done early, and use that extra time to mentally prepare yourself for the day of. Make people feel as comfortable as you can. The more comfortable they are, the longer they’ll hang around! Things like coffee or tea, relaxing places to sit, and personal touches like homemade cookies will set you apart from other all-business booths. Make sure there’s an inviting smell (the cookies would do the trick) and watch people flock to your space! If you’re generous with your attendees, there’s a good chance they’ll be generous with you. After each trade show, you should record how certain tactics or methods worked for you. Your time and research is valuable, so don’t waste it by repeating mistakes or missing out on insightful trends in your success! Figure out what works best for you, what doesn’t, and how you can better equip yourself and your team for an optimized trade show. 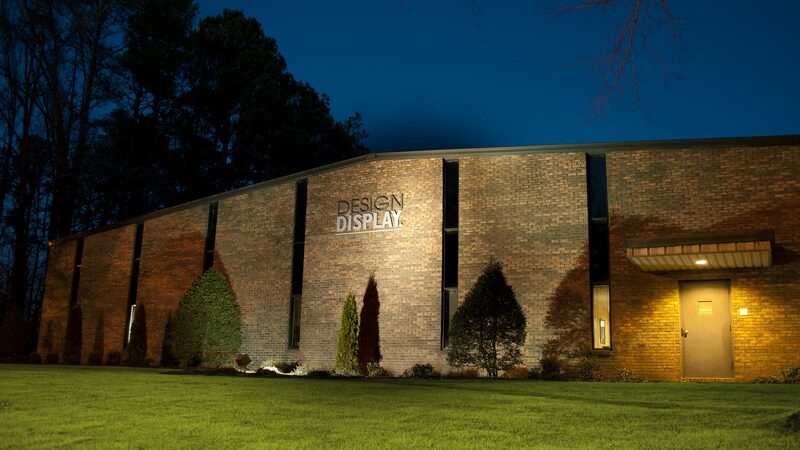 For inspiration, advice, and helpful services, contact Design Display.